Welcome to the Brimstone Drawing Club of Chicago, where Pin-Up babes and stunning alt models pose for your drawing pleasure. More leather, feathers and glitter than you can shake a stick (of charcoal) at! The Brimstone Drawing Club is on hiatus until further notice. A variety of other projects are keeping your session organizers hopping, but we're looking forward to bringing the club back at some point this year. This month at the Brimstone Drawing Club, we celebrate the start of summer with two sizzling pin-up models. Our stage will be graced with Chicago's hottest hula hooper, Lula Hoop Garou, and with the much anticipated return of sultry rockabilly siren Rebecca Ryan. Join us Saturday, July 20th to draw them both! So if you're looking for beautiful models, kickass tunes, and a little BYOB action, join us June 20th, from 1-4 PM at the Hotei Gallery and Art Center (1445 W. Morse, one block west of the Morse Red line El stop). Prepare to add some sparkle and sass to your sketchbook with three hours of the hottest life drawing you've ever experienced! THE BRIMSTONE DRAWING CLUB JUNE DRAWING SESSION! WHERE: The Hotei Gallery and Art Center (1445 W. Morse, one block west of the Morse Red line El stop). Northside artists represent! MORE INFO: For answers to your burning questions, like, "What drawing supplies may I bring?" and "Do I need to provide my own bottle opener?" please visit our FAQ (link located at the top right side of the blog). Thanks to everyone who made our first session at the Hotei Gallery such a roaring success! 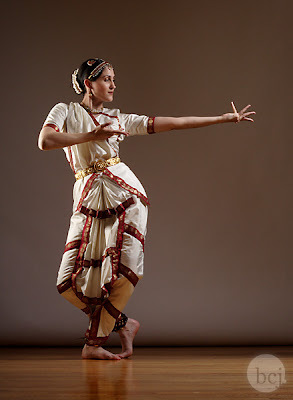 This month, we're cranking things even higher with two incredible models--Danielle of Aleph Dance, who returns by popular demand to wow us once more with her extraordinary grace and fantastic costumes, and also the return of the supple, sylph-like Lady Jack. Think we're exaggerating the treats in store for you, oh lucky artists? Just look below! So if you're looking for beautiful models, kickass tunes, and a little BYOB action, join us May 9th, from 1-4 PM at the Hotei Gallery and Art Center (1445 W. Morse, one block west of the Morse Red line El stop). Prepare to add some sparkle and sass to your sketchbook with three hours of the hottest life drawing you've ever experienced! THE BRIMSTONE DRAWING CLUB MAY DRAWING SESSION! This month's Brimstone session will feature cosplay cutie and Vaudzilla burlesqueteer Wham Bam Pam in a variety of mind-boggling outfits and the deadly, seductive charms of Ms. Bee Sharp. It also marks our first session partnered with Hotei Gallery and Art Center, dedicated to bringing an eclectic assortment of resources to Northside artists, including hosting our April session! So if you're looking for beautiful models, kickass tunes, and a little BYOB action, join us April 18th, from 1-4 PM at the Hotei Gallery and Art Center (1445 W. Morse, one block west of the Morse Red line El stop). Prepare to add some sparkle and sass to your sketchbook with three hours of the hottest life drawing you've ever experienced! THE BRIMSTONE DRAWING CLUB APRIL DRAWING SESSION! MORE INFO: For a look at photos and drawings from previous sessions, along with answers to your burning questions, like, "What drawing supplies may I bring?" and "Do I need to provide my own bottle opener?" please visit our FAQ (link located at the top right side of the blog). Wondering what we've been up to recently? 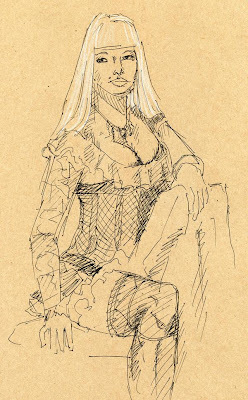 Check out these great sketches from recent sessions! Then come join us April 18th and draw your own! So, are you ready to add some sparkle and sass to your sketchbook? Then join us March 21st at the Brimstone Drawing Club for two seductive models! Three hours of the hottest life drawing you've ever seen! It's BYOB! How can you resist? 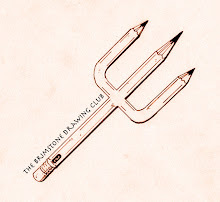 THE BRIMSTONE DRAWING CLUB MARCH DRAWING SESSION! WHERE: The Peter Jones Gallery at 1806 W Cuyler Ave, 1 block north of the Irving Park Brown Line stop. MORE INFO: For a look at photos and drawings from previous sessions, along with answers to your burning questions, like, "What drawing supplies may I bring?" and "Do I need to provide my own bottle opener?" please visit our FAQ (link located at the top righthand side of the blog). February 21st! Hot Models! Cool Drawings! The Brimstone Drawing Club! Tired of drawing the same old academic subjects? Longing to unleash the inner pin-up artist within? Ready to add some sparkle and sass to your sketchbook? Then join us February 21st at the Brimstone Drawing Club for two seductive models! Three hours of the hottest life drawing you've ever seen! It's BYOB! How can you resist? This month, back by popular demand, we've got sensational alt model Amiria Divine. Last time she was here, our artists couldn't stop raving about her. You won't want to miss drawing this dangerous dame! Then, just to add even more gorgeousness, we've got fearless, fabulous burlesque performer and pin up model, Red Hot Annie! She's one of the busiest ladies in Chicago burlesque and we're lucky to have her gracing our stage for your drawing pleasure. This could be our best session ever--don't miss it! THE BRIMSTONE DRAWING CLUB FEBRUARY DRAWING SESSION! MORE INFO: For answers to your burning questions, like, "What drawing supplies may I bring?" and "Do I need to provide my own bottle opener?" please visit our FAQ (link located at the top of the righthand sidebar).